With the upcoming arrival of Norwegian Air in Tampa Bay on October 31 and Delta starting flights from Amsterdam next spring, international visitors have yet another non-stop option for their Sunshine State vacation. Norwegian is the latest international carrier to make Tampa Bay a non-stop destination. The carrier will fly into Tampa International Airport (TPA) from London Gatwick on Wednesdays and Saturdays starting Oct. 31. Introductory fares are $215 one-way. 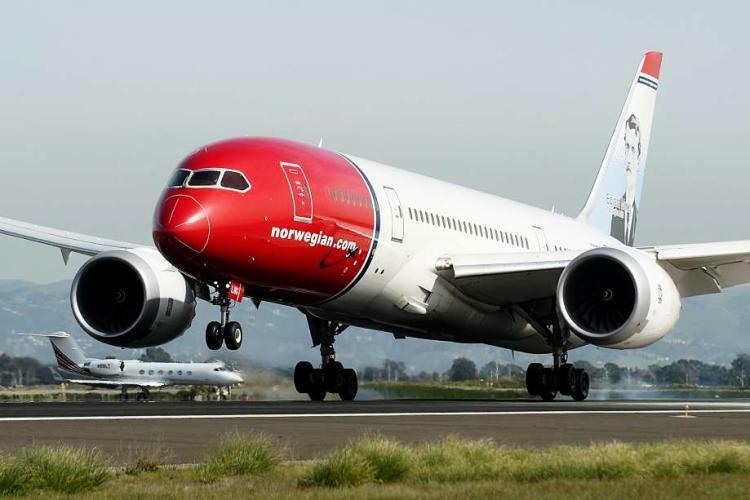 Norwegian becomes Tampa Bay’s second non-stop flight from London Gatwick. British Airways has offered daily non-stop service from London Gatwick to Tampa Bay for many years and recently upgraded its aircraft with new entertainment systems in both World Traveller and World Traveller Plus. Delta recently announced daily flights from Amsterdam Airport Schiphol starting May 22, 2019. The flight opens Tampa Bay and Florida&apos;s Gulf coast to more than 80 communities across Europe and the Middle East. Icelandair | The popular low-cost airline arrived in Tampa Bay in 2017 and flies seasonally from its hub in Reykjavik. Service will expand from two days a week to four when flights resume in September. Lufthansa | Germany&apos;s flagship airline flies five days a week from Frankfurt. The company recently announced it will be expanding its Business Class capacity to meet growing demand. Edelweiss | The Swiss airline flies non-stop from Zurich to Tampa Bay. Flights vary from twice a week (Wednesday and Sundays) or once a week (Sundays) depending on the month. Copa Airlines | Tampa Bay&apos;s link with Latin America, the Panama City-based airline flies non-stop from its hub in Panama and recently expanded its schedule for Tampa Bay to seven days a week. Southwest | The popular domestic carrier is one of the few airlines in the U.S. offering non-stop flights to Cuba. The daily service, which began in late 2016, offers a morning flight out and an evening return from Havana. Air Canada | The winter sun is a short flight away for residents of Toronto, Ottawa, and Montreal looking for a break from the long Canadian winter. Tampa Bay remains a bargain destination for Florida visitors and west Florida&apos;s major launching point for Caribbean cruises. And, of course, we&apos;re a great hockey town. Swoop | Starting October 20, Canada&apos;s first ultra-low-cost carrier launches seasonal flights to Tampa Bay from Hamilton, giving winter travelers a new route to the Florida sun -- and alternative to the long drive south. Recently, Tampa Bay has seen strong growth in its non-stop service from several west coast U.S. cities. Seattle | Alaska Airlines gives resident of the Pacific Northwest direct non-stop access to the warm waters and Cuban-infused culture of Tampa Bay on daily flights. Seattle caffeine addicts will Tampa Bay&apos;s cafe con leche to be a real eye-opener. San Francisco | All those pasty Silicon Valley tech entrepreneurs living around the other bay can hop a United flight and escape San Francisco&apos;s famous fog to find fun in the sun in Tampa Bay. They also find plenty of kindred creatives in Tampa Bay&apos;s own coffee shops and business incubators. Las Vegas | A visit to Tampa Bay is a sure thing after Frontier recently expanded service nationally. The iconic low-cost carrier can get you from the glitz of the Strip to the nightlife along La Sétima in Ybor City. Southwest and Spirit Airlines also offer non-stops from Las Vegas to Tampa Bay. Los Angeles | Delta, Spirit Airlines, and Southwest let you trade the sprawling freeways of L.A. for an intimate, walkable community and a stroll long the Tampa Riverwalk. Hollywood location scouts, make it a working vacation: you&apos;ll find a great mix of architecture, environments, and talent for future shoots. San Diego | Pack your dancing shoes when you fly Southwest to Ybor City, home to 130 years of history, Cuban culture, and high-energy nightlife. The neighborhood is also the heart of Tampa Bay&apos;s LGBT community, with bars that welcome everyone. Tampa Bay has many other non-stops from major cities in the Midwest, Northeast, and Texas, making it easy to discover the treasure that awaits in to the hip, urban heart of Florida’s Gulf coast !